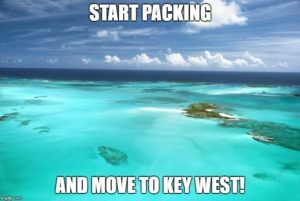 If you’re thinking of buying a home in the fabulous Florida Keys or Key West, allow me to help you make this a seamless transition. There are quite a few things to consider. The following steps will help you as it has so many others. 1. Help finding the perfect property for you and your family is the most rewarding part of what I do. Key West is broken down into neighborhoods: Old Town, The Meadows, Mid Town and New Town. Finding the right fit can be a small challenge. Learn more about the neighborhoods here. 2.Locating a local Lender that will not only offer you a great interest rate but also preferably offers you local underwriting. This has more advantages than one realizes, typically due to the uniqueness of the Florida Keys, property types and our geographical location. 3. Help locating the best insurance rates for the property type you choose. Insurance mitigations will usually save you money. 4. Lastly allow me to help you get your new house move in ready so when the movers arrive everything goes smoothly. See area information here. These are just a handful of the services I can help you with. Life in Key West is all about simplifying things and enjoying life on the beach or doing what you enjoy. Allow me to make recommendations on some of our local favorite activities, be it fishing, diving or boating….. I enjoy helping your dreams become a reality. 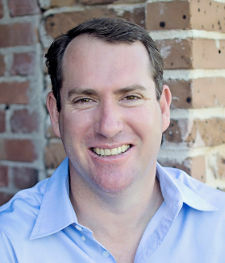 Contact me today so I can help you simplify your buying experience, or start searching using the state-of-the-art Key West real estate search tools on this site.